So I hear you ask, what are these pictures about then? 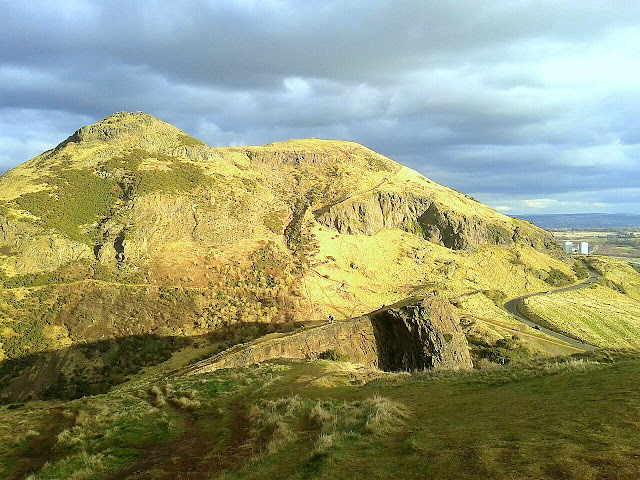 This is my favourite rambling place in Edinburgh; the Crags, which I climbed the last time the weather was nice (about 4 weeks ago) and I had yet to post them. I hope you enjoy. Its a fantastic walk, a bit of scrambling up rocks too, which I found rather enjoyable. 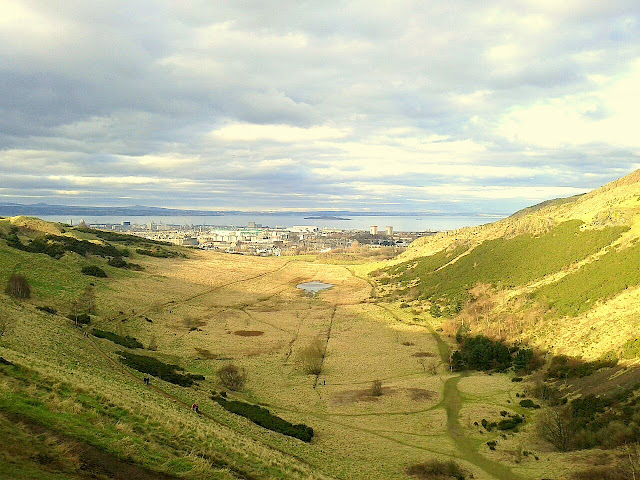 The photo below is of Arthur's Seat, which apparently was/is a volcano? It gets a LOT of visitors, which is why I prefer the Crags, less touristy=less busy, more free space. 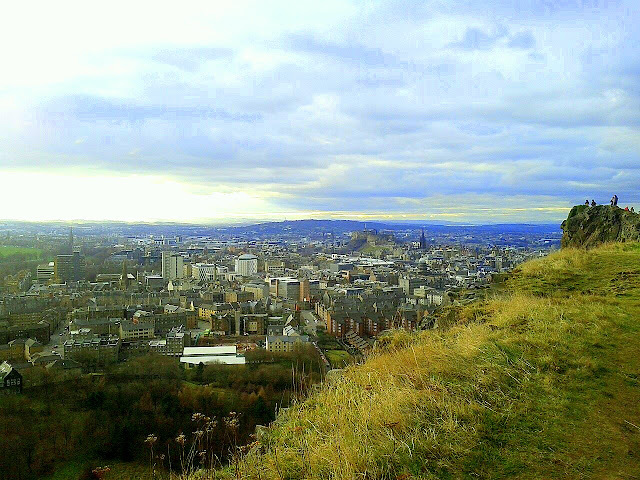 I walked Arthur's Seat once and really didn't enjoy, I was scared of falling plus there were SO many people around. What's great about the Crags is that you can see Arthur's Seat as well as Edinburgh . I hope you had a lovely Easter Monday and enjoyed your weekend off. I look forward to my next weekend off in about 7 weeks (my last exam in May 23rd!) Although I'm heading home this weekend so maybe I'll take that off too, bit cheeky I know, considering exams are looming.